The CMS will update the star ratings on Nursing Home Compare in April with several changes including new ratings for health inspection performance and stricter criteria for staffing level ratings. The changes to the ratings, which will likely go live in mid-April, are part of an ongoing effort by the CMS "to improve the accuracy and value of the information found on the site," the agency said Tuesday in a release. The CMS has made modified the ratings several times over the years, including most recently replacing the collection of staffing data from a self-reported process to the Payroll-Based Journal system, which is said to be more accurate because it requires nursing homes to submit their payroll information every quarter. Unlike the Hospital Compare star ratings, Nursing Home Compare assigns more than just a single overall rating. Nursing homes are given three additional ratings based on health inspections, staffing levels and quality measures. The nursing home ratings are also refreshed monthly. In the April release, star ratings for health inspections will be updated with new data after a one-year pause. The CMS put a long-term freeze on new health inspection ratings in February 2018 to account for a new survey process that was implemented. The CMS didn't want to rate nursing homes on health inspections until all nursing homes were assessed at least once under the new survey process to ensure the information was comparable. The CMS also changed how it rates hospitals for staffing levels. Right now, if a facility reports seven or more days per quarter with no registered nurse on-site, they are automatically assigned a one-star rating for that category. Starting in April, a facility will get an automatic one-star rating if they don't have a registered nurse on-site for four days. The CMS said the change was made in recognition of how important nursing home staffing levels are for quality of care. 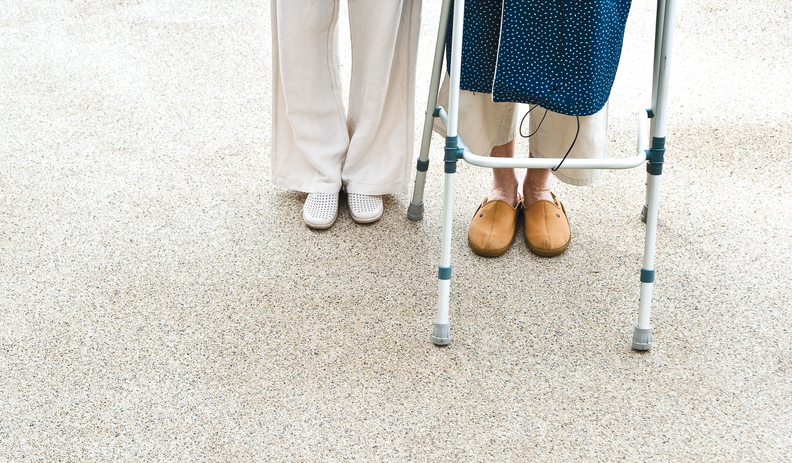 "Nurse staffing has the greatest impact on the quality of care nursing homes deliver," the agency said. The American Health Care Association, which represents long-term care providers including nursing homes, said while it "broadly supports" the changes made to the star ratings, it criticized the emphasis the CMS is putting on registered nurses in the staffing level rating. "It is important to realize it is not just registered nurses who play a critical role in ensuring patient-centered care. The staffing rating still does not include therapists, who play an important role in ensuring quality care," the AHCA said in a statement. Finally, in addition to the overall quality measure rating, the CMS will begin to assign two additional ratings based on performance on quality measures for long-stay residents and short-stay residents. There are 10 long-stay measures and seven short-stay measures the CMS will use for those ratings. "Our updates to Nursing Home Compare reflect more transparent and meaningful information about the quality of care that each nursing home is giving its residents. Our goal is to drive quality improvements across the industry and empower consumers to make decisions, with more confidence, for their loved ones," CMS Administrator Seema Verma said in a statement.